Republicans Have God On Their Side: Bill Clinton Missed Osama! And thousands died! Bill Clinton Missed Osama! And thousands died! But at least he tried. The current administration knew of the threat and did nothing for 8 months. And thousands died. That is the fairy tale that you have the right to believe. I just choose to seek out the truth. So, let me get this straight. Your response is to stick your fingers in your ears and hum when confronted with the truth. I can't think of a less Christian response to my comment. You are a shameful representation of your faith. 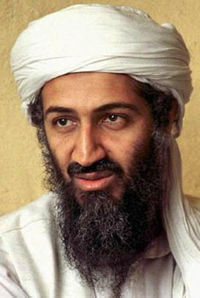 Cliton did nothing to Bin Laden. He did hit a Chinese Embassy and aspirin factory. No, but he tried to get support in order to go after him. And, when Bush took office in 2000, Clinton made abundantly clear that he felt that Bin Laden was the number one threat facing America. May I also point out that, thus far, Bush hasn't really done anything to Bin Laden other than to let him slip through American fingers. So you are saying that Clinton passed on what he was not man enough to handle? That should make it ok. Any excuse is better than none? No, that's not what I'm saying. I AM saying that Bill Clinton, for whatever reasons, COULD NOT get the government to support an out and out assasination attempt on the life of Osama Bin Laden. But he tried. He tried and failed. No, Clinton didn't do enough. But, to claim that it's Clinton's fault, that's just stupid. Bush had the information that Clinton had, and instead of similarly making an effort to do something about Bin Laden, Bush, for 8 months, ignored the problem. For someone who prattles about the truth a lot, you sure don't seem to be bothering with it all that much on this entry. The military had Bin laden in their sites. Clinton lacked the guts to use his power. That is what bothers you about W. He has guts and is doing his job instead of listening to the tripe in the media. I'll start discussing things with you when you stop ignoring facts. You and a fact is like Clinton and the truth. Not much to say when you won't even address my points with a modicum of substence. Is that a nice way of admitting that you are losing? You seem to have used more than your share of substance.